Yannick Nezet-Sequin, now music director for both the Philadelphia Orchestra and the Metropolitan Opera, will lead a program at the Mann Center this spring. Borders have never been of much use in music, and the human voice casts a bright, if diffuse, spotlight this spring in Philadelphia. It comes from all over. Singers worshiped elsewhere are imported by the Philadelphia Chamber Music Society: plush mezzo Isabel Leonard in Bernstein, even more plush mezzo Sarah Connolly in core song repertoire, Lawrence Brownlee and Eric Owens together and apart in bel canto and spirituals. And they say the song recital is dead. If there is such a thing as perfection in music, La bohème is it. Opera Philadelphia delves into Puccini’s incredibly emotional score in a production that, using images lifted from the walls of local museums, stirs hometown pride. Before that, starting Feb. 8, Opera Philadelphia brings the oddly enchanting shimmer of Britten’s A Midsummer Night’s Dream to the stage in Robert Carsen’s venerable staging. New music finds its sturdy voice this spring, with Bowerbird hosting New York-based Ekmeles Vocal Ensemble promising “music with spiritual focuses as diverse as Sufism, silence, cooking, and humor.” Really. The Mendelssohn Club ends its season with Tan Dun’s Water Passion after St. Matthew. And with summer arrives populism in its best, and most vocal, sense of the word: Beethoven’s Ninth. It will be led by a well-traveled maestro finding his way to a local, leafy venue for the first time. The June 24 concert marks Yannick Nézet-Séguin’s Mann Center debut. Imani Winds, performing in Philadelphia twice this spring and whose flutist, Valerie Coleman, right, has been commissioned to write a new work for the Philadelphia Orchestra. Imani Winds (Feb. 15 and May 3, American Philosophical Society and World Cafe Live). The virtuosic woodwind quintet visits Philadelphia twice in the next few months with two distinct programs. Music for Food (Feb. 17 and 19, March 25, various venues). Pianist Jonathan Biss oversees most of the local efforts of this national group that raises money for hunger relief. The Feb. 17 PCMS concert, which benefits Philabundance, features the Orion Quartet and cellist Peter Wiley in Schubert at the American Philosophical Society. Lawrence Brownlee and Eric Owens (Feb. 22, Perelman Theater). The better part of Philadelphia’s operatic power structure will be represented when tenor Brownlee, artistic adviser to Opera Philadelphia, and bass-baritone Owens, newly named co-chief of the opera department at the Curtis Institute of Music, take the stage together with pianist Craig Terry. John Cage Sonatas and Interludes (March 21, University Lutheran Church). In this Penn Music Department/Bowerbird concert, pianist/composer Amy Williams performs Cage’s 1940s cycle of 20 works for “prepared” piano interspersed with new interludes by Nomi Epstein, Kevin Laskey, Robert Reinhart, Adam Vidiksis, Jeffrey Weeter, and Jay Alan Yim. Hannibal Lokumbe in a procession to Mother Bethel before a 2017 performance of his "Crucifixion Resurrection: Nine Souls a Traveling," honoring those killed at Emanuel African Methodist Episcopal Church in Charleston, S.C.
Hannibal’s Healing Tones (March 28-30, Verizon Hall). Composer Hannibal Lokumbe has spent years visiting Philadelphia schools, churches, and prisons gathering material for a kind of hymn to the city, and, knowing Hannibal, humanity itself. La bohème (April 26-May 5, Academy of Music). If you, dear traditionalist, have looked at all the innovation and edginess of recent Opera Philadelphia seasons and wondered about an entry point for you, here it is. Puccini’s melodic and emotional score resonates with both novices and aficionados. Voices soar, and then fall tender. It might be the perfect opera. Yannick Nézet-Séguin Mann Center debut (June 24, Fairmount Park). 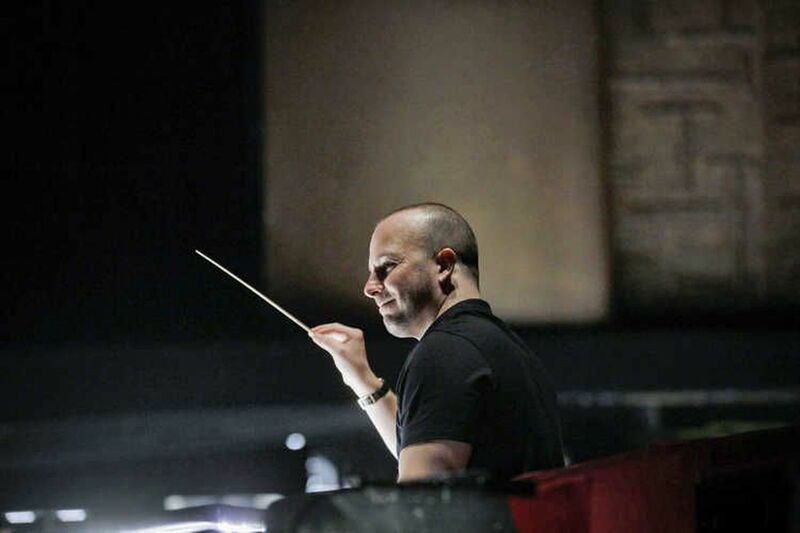 Nézet-Séguin has led concerts at the Philadelphia Orchestra’s summer venues in Saratoga Springs, N.Y., and in Colorado, but this will be his first time appearing at this fine summer spot in his orchestra’s own backyard.